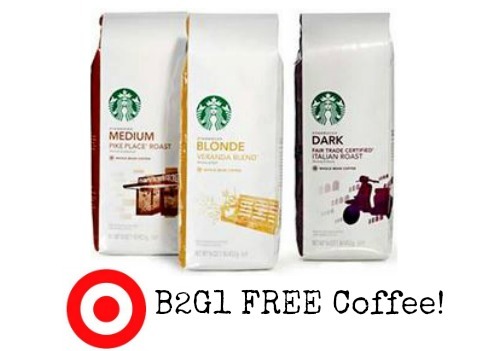 In case you haven’t heard, Target is offering B2G1 FREE Bagged Coffee this week! Even better, you can mix and match coffee brands, plus there are several coupons available. If you’re a coffee fan, this would be a great time to stock up. With sales in-store on select brands plus coupons with this offer, you can get some great savings! Total Due: $13.48 –like getting it for $4.49 a bag! –like getting it for $2.19 a bag! Check out some coupons available to use with this deal!